Wow, it has been a very long time since I've done a blog post! I'm finally back from vacation - I was on the Big Island for 2 weeks and it was absolutely heavenly. I wish I were still there... especially when I hear about the massive snowstorm that will be heading for Toronto starting tomorrow. I'm currently curled up in my zebra print Snuggie and determined to catch up on my beauty box reviews. Today, I bring you my review of the January 2013 Beauty Box 5. Beauty Box 5 is a monthly subscription service that promises 4-5 beauty samples in each box. It ships out of Austin, Texas. The samples are shipped in relatively small cardboard shipping box. There is no additional pretty box or makeup bag inside but the samples are contained in a small mesh drawstring bag. I like this minimalist approach. I have never heard of Pencil Me In Cosmetics... this company is based in New York and offers a line of 30 different shades of eye pencils. Apparently, this product is infused with vitamins and anti-oxidants. This eye pencil also comes with a built-in sharpener in the cap that works really well. I received a gold pencil in my Beauty Box 5. I have a couple other gold liners but I'm always happy to try a new one. 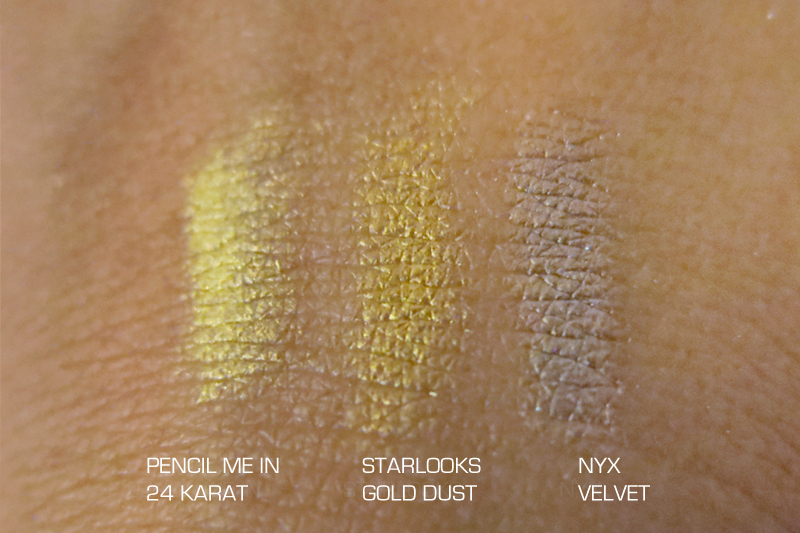 After swatching, I actually noticed that the liners are all very different. My Pencil Me In eye pencil is brighter and more yellow. 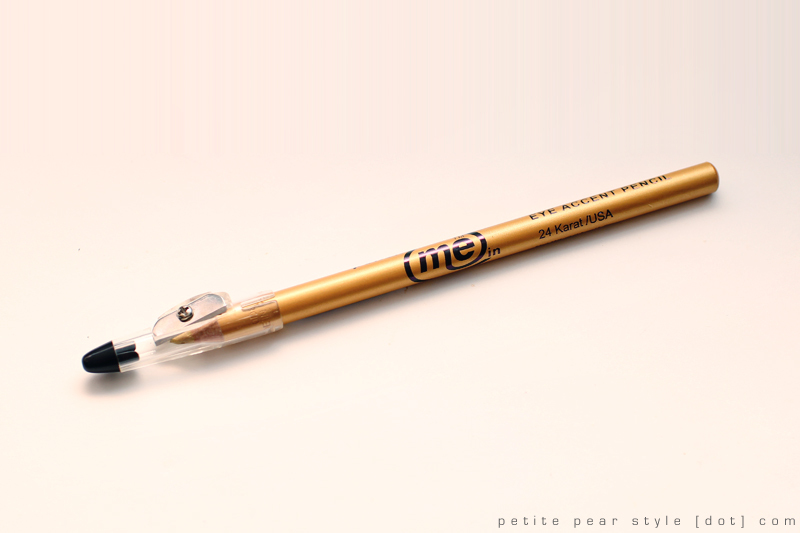 Impressions: I like this eye pencil a lot. It applies very creamy and smooth - it doesn't tug on the lash line. I used this as an accent on my waterline and smudged it out a little on my lower lash line and I really like the colour. The pigmentation and colour payoff of this liner is excellent. When I initially saw this product, I thought it was the same brand as the Pencil Me In product because they are so similar in terms of design. 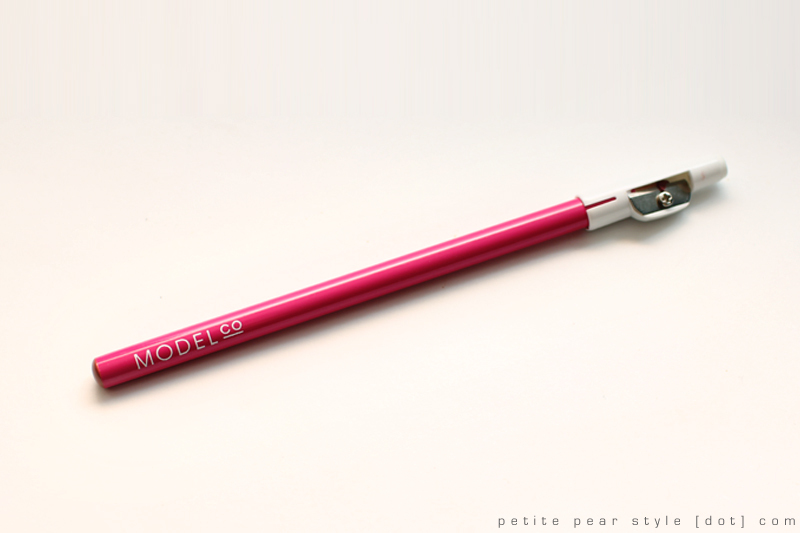 This is actually a lip pencil by Model Co. I've tried the lip gloss / lip stick duo from this brand and I enjoyed it so I was happy to try another product. This lip liner also has a built-in sharpener in the cap that works very well. This lip liner looks like a very bright pink based on the colour on the outside of the pencil but it's actually a much more muted pink/rose. I took a look at the Model Co. website after recording my video and it appears that this line of lip pencils all have the same bright pink colour on the outside - so I guess it's a branding thing! Impressions: I'm happy to have received the liner in a more muted shade because I think it will be more wearable on a day-to-day basis. The only issue I have with this liner is it feels a little hard and doesn't go on as smoothly and as pigmented as I would like. The colour is buildable but the texture is hard so it's a little rough on the lips. One of our NEW 2013 shades, Desert Rose is one of our most exciting Blush X3 shades yet! A gorgeous pink with a kiss of coppery warmth, it looks AMAZING on every skin tone. Since the product and packaging are identical to the sample I received previously, I have the same comments: I generally like products that can be used for multiple purposes so I was pretty happy to try this product. 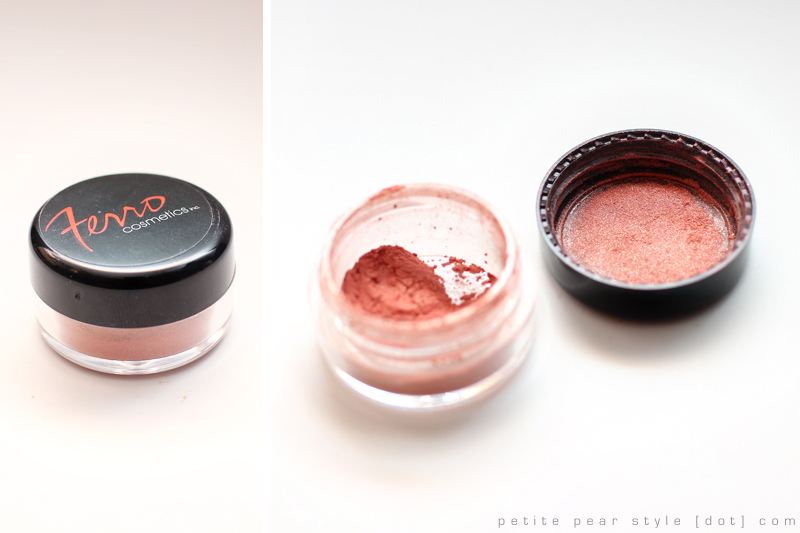 The blush seemed to be packaged really sloppily though - it was a big mess when I opened it, with powder all around the lip of the little jar and in the threads of the container and the lid. I tried to save most of the product when I cleaned it up. It also would have been nice if a sifter were included to make this product more user friendly. Impressions: This blush is a very pretty shade indeed (I wore it on my cheeks and on my lips in the above video). The colour lasted a long time on my cheeks and the pigment did not settle into my lip lines so that was definitely a plus. I find the easiest way to apply this product is to dip my blush brush into the pigment in the lid - I still sometimes pick up a bit too much but I just dab off the excess on a clean paper towel. I normally don't like receiving fragrances in beauty boxes but I have such a fascination with solid perfume that I was very happy to receive this product! Beauty Box 5 does a great job at sourcing out interesting fragrance samples - I was also very happy with the Demeter roll-on fragrance we received in our December 2012 Beauty Box 5. 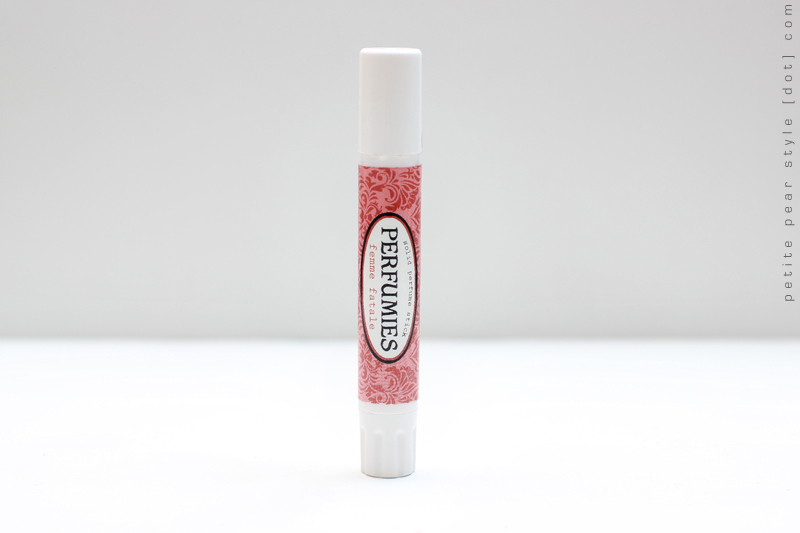 Impressions: I absolutely love this perfume stick - I think it is my favourite product in this month's box. The scent I received is a very pleasant, youthful, and sweet floral scent. The fragrance is very easy to apply - it is not at all waxy. I find a little bit of the fragrance goes a long way and the scent lasts about 2-3 hours on me. I've already tucked this fragrance into my make-up bag and I reach for it periodically throughout the day. I've tried solid perfume pots from Pacifica and also from Fragonard (purchased in France) but this one wins out because of the ease of application. Here is the official description of the scent I received: A truly perfect sweet floral scent. This scent is as fragrant as a flower show with roses, magnolia, gardenia, tuberose, and arris blossom. For our 5th product this month, Beauty Box 5 provided us with a surprise sample from its 2012 favourites (read: leftover stock). I was pretty happy with the product I received because (a) I've never tried it, (b) I've been curious about this brand, (c) this product is useful, and (d) even though I have my favourite arsenal of products, I actually don't mind trying new cleansers. Impressions: I've only used this cleanser once and I liked it. 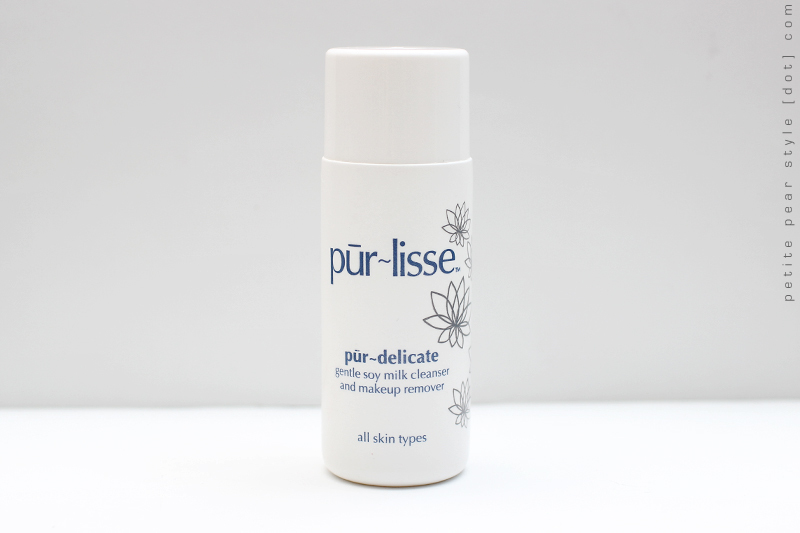 The cleanser feels soft and gentle on the skin. It does not foam and has a very light milky scent. It feels slightly more drying than my regular cleanser (Nivea Gentle Cleanser) but I will try it a few more times to see if this is truly the case. I probably would not purchase the full size of this though due to the price. 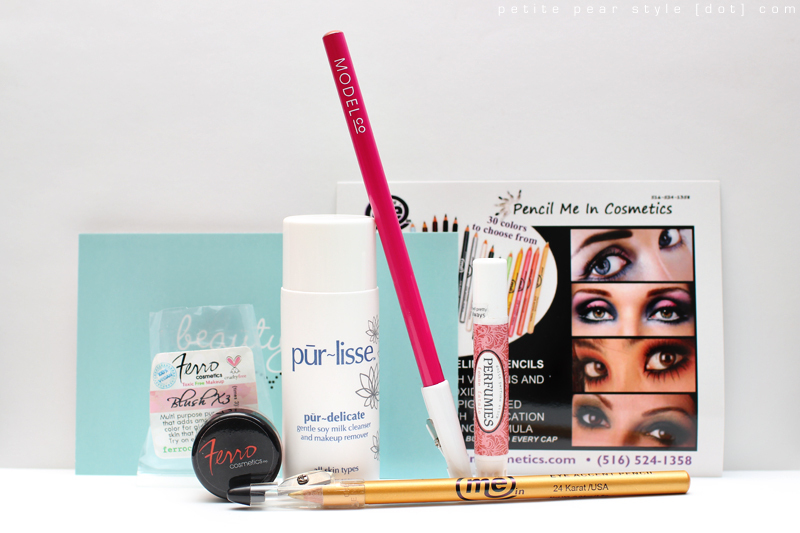 The January 2013 Beauty Box 5 was another winner for me! I subscribed to this service for a year so I am only paying $8.33 per box (including shipping), which I think is an absolute steal. Are you subscribed to Beauty Box 5? If so, what do you think of this subscription service? If you wish to join Beauty Box 5 through my invitation, I will earn a credit and send heaps of good karma your way! Looks like a nice box! It didn't look as good in other posts... I think the one I saw didn't get the pur-lisse and was having trouble with the lip and eyeliner showing up. I really want to sub to BB5 but I'm limiting myself to two beauty boxes at a time so for now it's not going to happen... If I do, I'll use your referral! I LOVED that perfume stick! I went to the website and wanted to get more and there were so many scents that I had FORTY sticks in my cart! i wanted to buy the 23 stick set for $75 but it was sold out. i hope another set comes out soon or i may have to pick up something in the meantime as i have been addicted to the one i received!